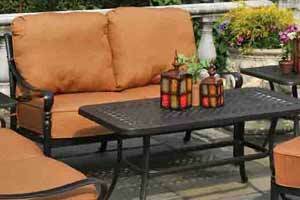 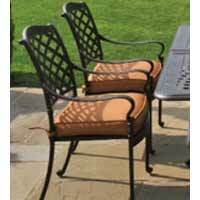 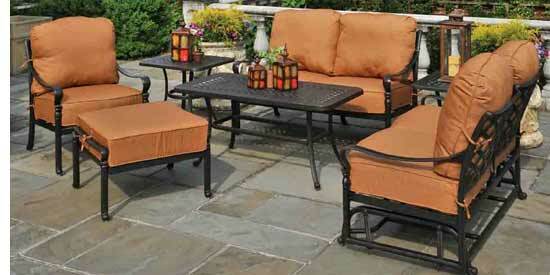 Our Berkshire Collection features elegant scrolled arms cast from durable and lightweight aluminum. 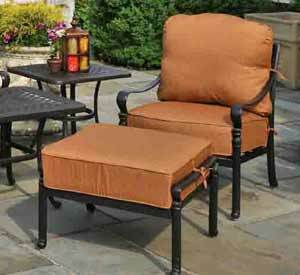 Our 8-step powder-painted factory finish is available in a variety of colors and will stay beautiful year after year. 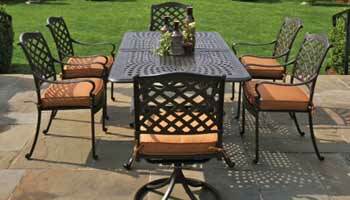 Create the perfect accent for your outdoor entertaining selecting from a wide variety of durable, weather resistant outdoor fabrics.